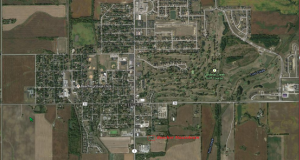 The National Register of Historic Places is the official list of the Nation’s historic places worthy of preservation. 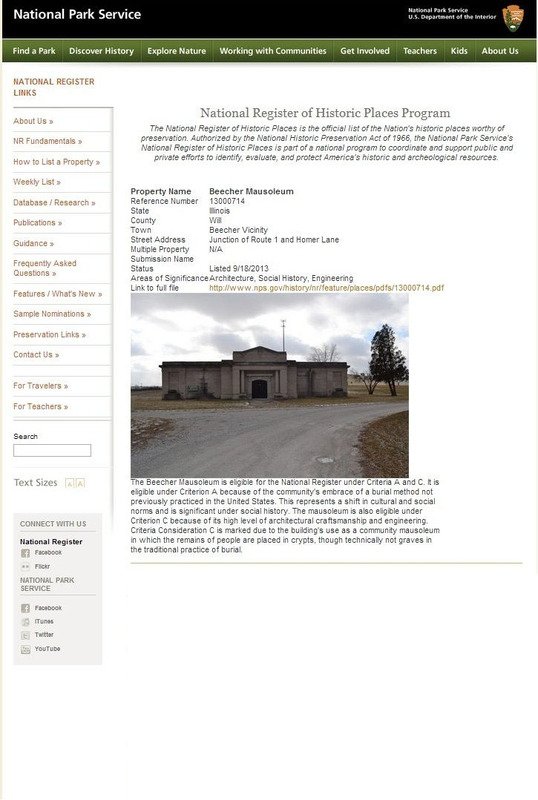 Authorized by the National Historic Preservation Act of 1966, the National Park Service’s National Register of Historic Places is part of the national program to coordinate and support public and private efforts to identify, evaluate, and protect America’s historic and archeological resources. 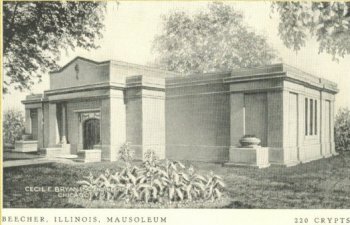 The Beecher Mausoleum, poised atop a hill at the end of a long gravel road, overlooks the small Will County, Illinois town it was meant to serve. While it is a historic symbol of days long past, its connection with the present day is very much alive through the ancestry of many of the 171 souls entombed within it. 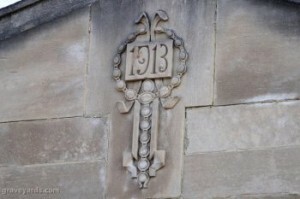 The building itself, constructed in the early part of the twentieth century, is made of fine Bedford stone with white marble walls lining the interior. 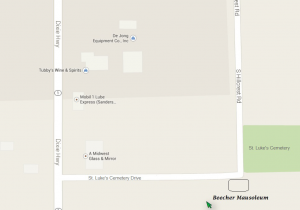 It is an architectural monument to the early citizens of Beecher who envisioned eternal prominence for themselves and their kin. 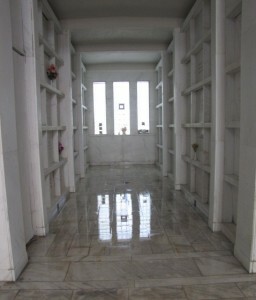 The spacious interior can be used as a quiet place where descendants can pay their respects. 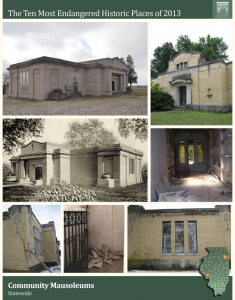 Efforts are ongoing to preserve the status and stature of the Beecher Mausoleum, to pay homage to those whose initial idea it was to build it, to the souls whose remains are contained within it, and to the community which it serves. 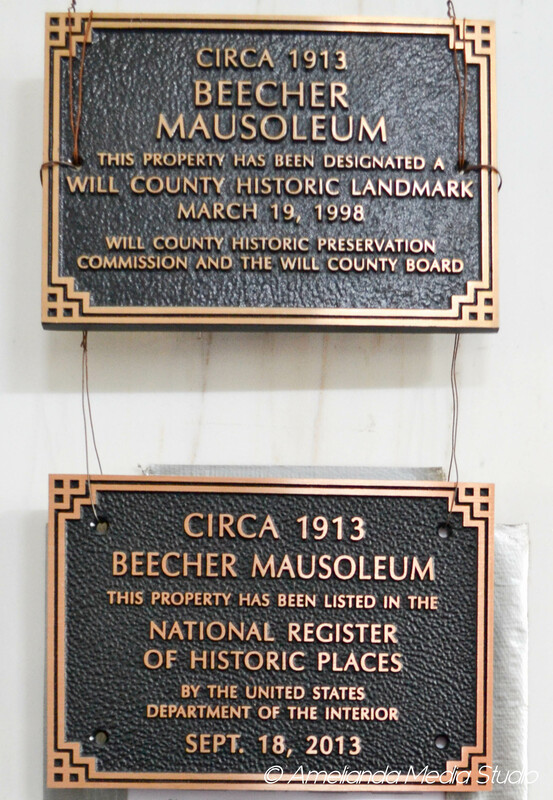 In 1998, the Will County Historic Preservation Commission deemed the Beecher Mausoleum a historic landmark. 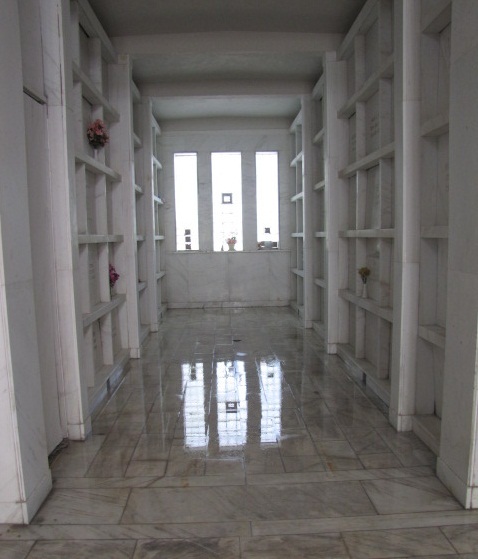 This site is dedicated to preserving the history and legacy of the souls interred herein. Although substantial research has gone into learning about the people who rest here, this is an ongoing project. We are always seeking additional information. Learn about the building itself as well as plans to create perpetual care for this historic structure. Join us in our efforts. Donations are tax deductible.